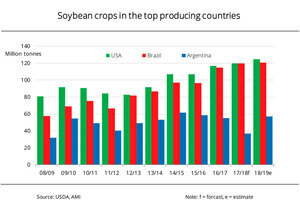 Logic Before Authority presents a film clip of the head of our government negotiating with China to provide them 5 million tons of soybeans per day, when the total tonnage grown in the U.S. is 320,000 per day, in a year with somewhat normal weather patterns. GMO concerns aside, how would that leave anything at all for U.S. citizens? Is the U.S. beholden to China to such a degree that our crops are being put up as collateral? Or maybe this was just a communication snafu? The British ton is the long ton, which is 2240 pounds, and the U.S. ton is the short ton which is 2000 pounds. Both tons are actually defined in the same way. 1 ton is equal to 20 hundredweight. It is just the definition of the hundredweight that differs between countries. In the U.S. there are 100 pounds in the hundredweight, and in Britain there are 112 pounds in the hundredweight. This causes the actual weight of the ton to differ between countries. To distinguish between the two tons, the smaller U.S. ton is called short, while the larger British ton is called long. There is also an third type of ton called the metric ton, equal to 1000 kilograms, or approximately 2204 pounds. The metric ton is officially called tonne. The SI standard calls it tonne, but the U.S. Government recommends calling it metric ton. So Logic's statement of there being 320,000 tons of soybeans produced per day in the U.S. equates to about 116 million tons in a year, which was correct for the 2016/2017 fiscal year, and would agree with the chart. So the Chinese statesman's request of 5 million tons of soybeans per day from the U.S. is indeed impossible, and perhaps he meant per year instead? 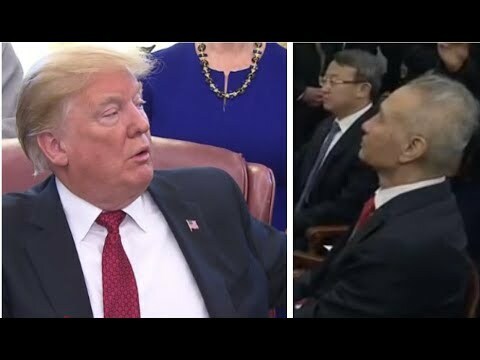 However, he did place emphasis on "per day" in the film, which the President did not balk at, but maybe being agreeable on camera was a diplomatic tactic designed not to embarrass the Chinese negotiator in public? to me, this seems far-fetched, i will try to look at it again and dig deeper. Thank you Barb, but it was actually RR Book who did all the research. 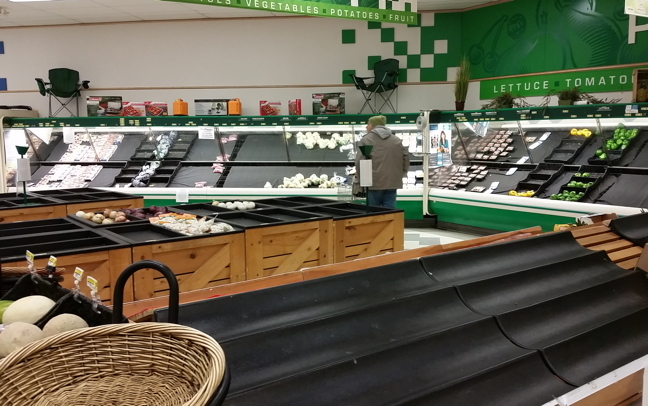 What shortages have you noticed in your own market? Please share. The priority of a true Southerner! Nearly 1,000 calories per slice! David Dubyne reports that for the first time in recent history, the worldwide demand for wheat has increased simultaneously with a double decrease in other wheat statistics: less being successfully grown and harvested, and less remaining in storage from the previous growing season. He also urges everyone to experiment with growing a portion of their diet, as some of what we grow will fail, and we need to learn from those failures now before the time comes that we are more dependent upon what we grow ourselves for surival. David provides a link to "20 vegetables with the most protein content." These range from roughly .8 grams of protein per serving to 8 grams. In contrast, a college nutrition professor will typically insist that protein content needs to be in the double digits in order to count as one full serving of protein, with 50 or 60 grams needed daily by adults. I was really surprised about collard greens being so high in protein, and pleasantly surprised that the northern permaculture crop asparagus is also somewhat high. I did specifically look last weekend at the shelves at Walmart Supercenter, Farmington, MO, and saw full shelves, except for some brand of electrolyte drink sort of like Gatorade? Those shelves were nearly empty with a few cartons. Thanks for the report Ilinda! We visit Walmart about 4 times a year to stock mineral-infused sunflower seeds in bulk for the hens, and are planning to do so again soon. Will check how the shelves in general look and report back. Meats were very spotty, with one of the large horizontal open freezers almost completely empty. Otherwise, the store seemed fairly well stocked here as well. I did notice that the friendly greeters were missing, and that a number of staffed check-out lanes had been replaced with more and larger self-checkout stations with full-sized conveyor belts. So staff seem to have been down-sized. Hope you all keep up the good reporting! That is shocking to anyone who studies economic trends, as agricultural production has historically comprised one of three legs of the commodities marketplace, with the other two being metals and energy. So from this point forward, all aggregated commodities stats will be not only hollowed out, but also incomparable with historic commodities data, meaning that newer data can no longer be used to study longer-term economic trends. Are PTB indicating that they are no longer interested in studying long-term trends, because something is about to take place in which all of that meticulously accumulated information is about to become meaningless, or possibly dangerous? This surely could be the first year we see shortages of some of the crops we import, and maybe even some grown here. Thinking of how the winter wheat was damaged not that many months ago in the northern U.S. by IIRC too much rain at planting time? Or was it some other reason? Anyway, it was problematic for certain.